I’ve been known to have a penchant for these delicious bites for some time, however our recent sojourn to Bali reignited all of that love. 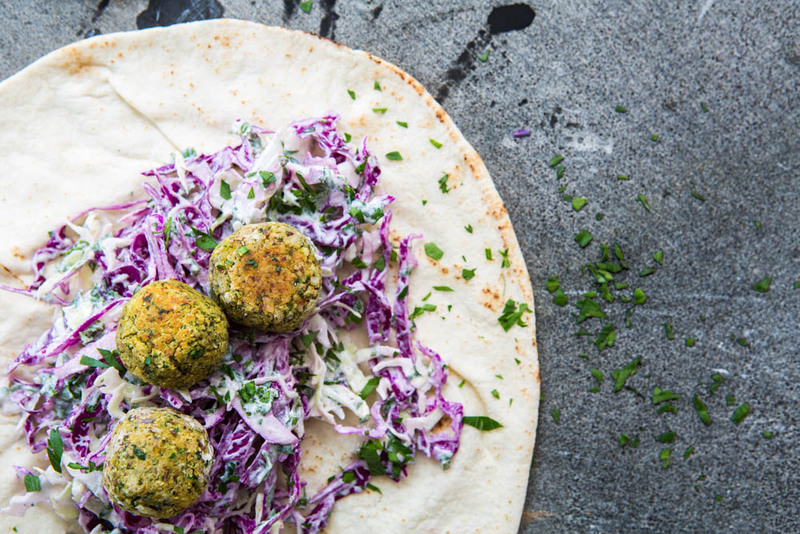 In the past, I’ve made and eaten varying versions of this traditional Middle Eastern street food all over the world – the mighty felafel. Just one more incredible aspect of travel is the inspiration that literally smacks you in the face. Our time in Bali – more on that here – allowed me to locate some incredible vegetarian food made from locally sourced and quality produce. Made by hand and offered with love. 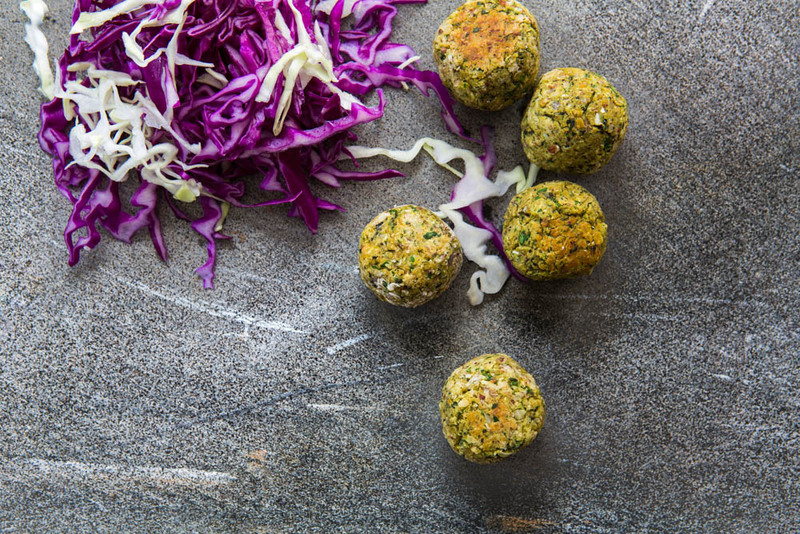 A quick breakdown of felafels tells us that they’re made predominantly from chickpeas and deep-fried. So the first point wins though the second point needed some refinement from my perspective. What was a non-negotiable for me however was capturing the essence of their origin. The flavours, spices and aromas of the best felafel I’ve ever eaten in the past (Paris, for the record) and merged with my usual practical considerations of how it can be used in your life + the textural obsession I possess when considering how something is paired. Say in a salad, main dish, as a side or in a sandwich. And… I’m pleased to say – they certainly do! 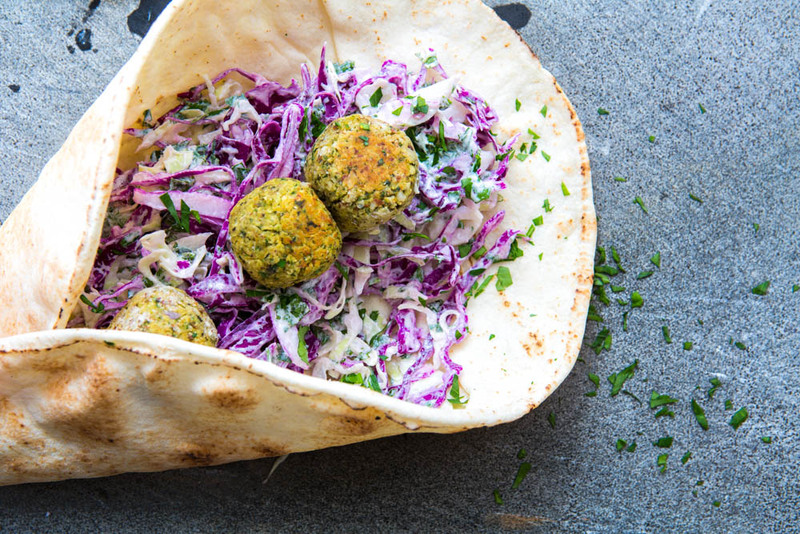 Once felafels are ready, serve alone or with optional variations such as hummus, quality wrap bread, in a salad or other main dish. 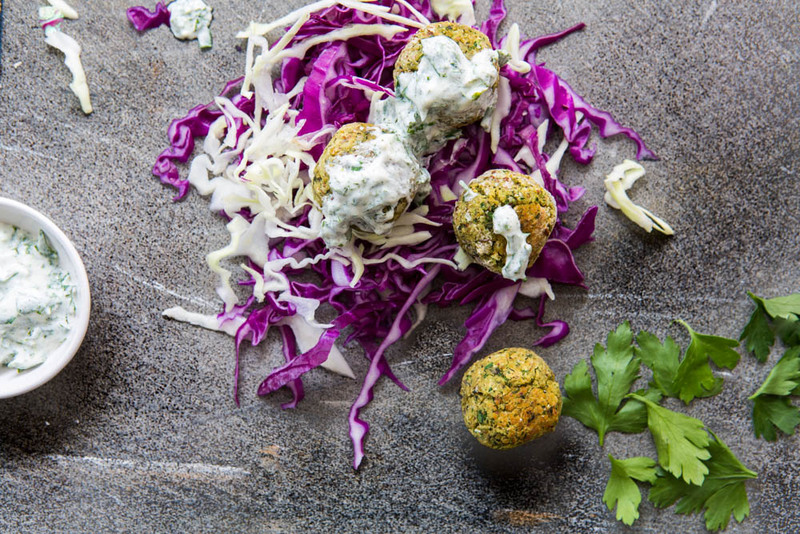 If you're vegan, simply enjoy the felafels without the salad. 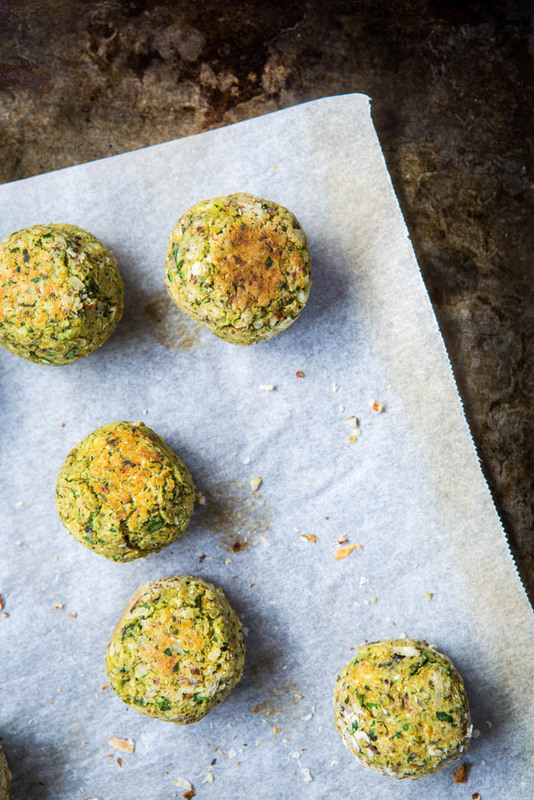 If you love felafels like I do – this recipe is just begging to be made and I’d recommend doubling the recipe and freezing some for later. So tell me, when are you making this one? 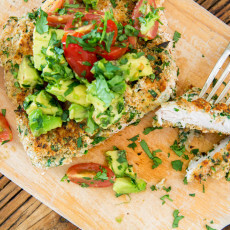 10 Responses to "Baked Felafels"
This recipe looks great! I have just discovered your blog and I’m so excited about it. 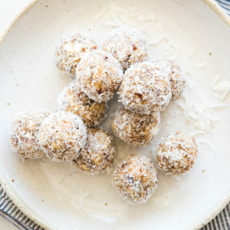 I have a tree nut allergy and wondering if you could suggest a substitution for the almond meal in this recipe? I come across this issue a lot, but each recipe is different and it’s a real trick to substitute without spoiling intended texture. Would love to hear your thoughts on this one (and any other thoughts you may have). I love what I do and am overjoyed when others connect with it too so thank you! Sorry to hear about your allergy! 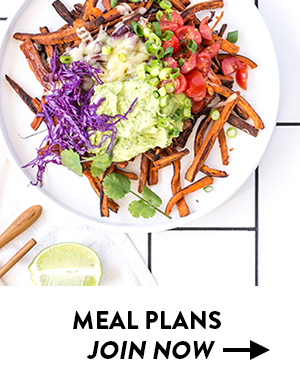 Having not made the recipe this way myself, I can not confirm it’s success though I would recommend in this instance substituting with sunflower seeds if you can tolerate them (obviously making sure your source has no trace of nuts). 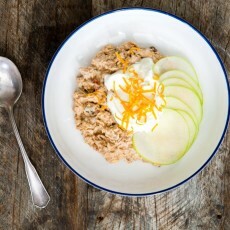 To make the sunflower seed meal/flour, simply grind them up into a fine powder in a blender/food processor/coffee grinder/mortar and pestle and use 1:1 as you would the almond meal. As a vegan, you could replace the yoghurt with dijon mustard (maybe just a tablespoon or so) and I find it makes a nice creamy substitute for a dressing instead of omitting the whole salad! 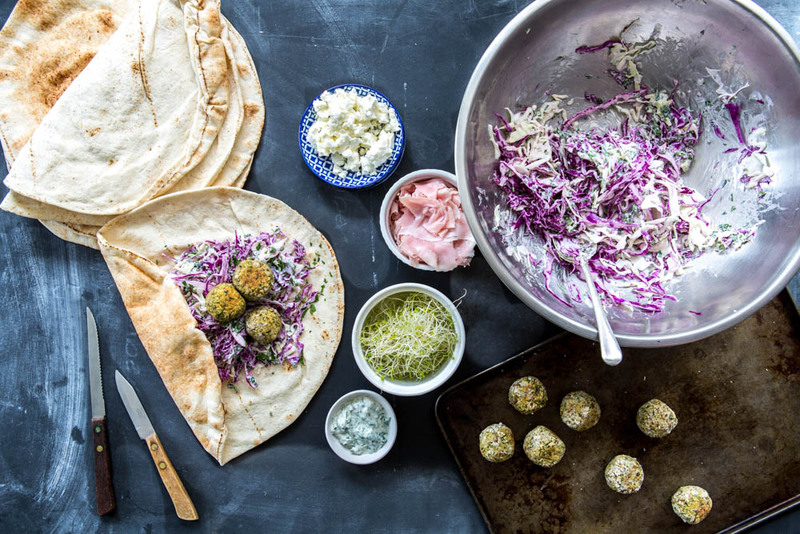 I’m gonna make the falafels soon! Thank you so much Lilli! Great suggestion and thanks for sharing the idea. Just made these and they are very very fragile, is this normal or am I supposed to really press together as I roll them? Also how do I know if they are cooked in the middle? They are brown on the outside but very light on the inside still and really soft? (I reduced my fan forced oven temp to 180). Thanks! 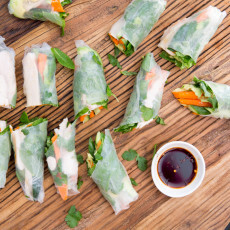 They can be a little fiddly to roll I know – but I promise they’re worth it! I would recommend yes rolling firmly and if needed, using a little extra almond meal to roll as I suggest in the recipe. 5 minutes a side is more than enough time if their size is the same as I’ve made in this recipe. The cauliflower and chickpeas ensure they’ll always be quite soft and never brown on the inside. Your oven temp sounds fine if they’re browning on the outside. 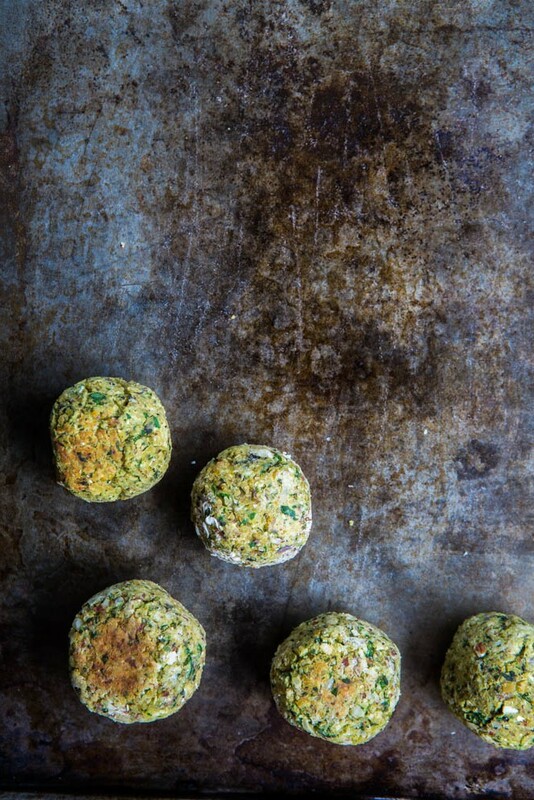 And the felafels on their own will last in an airtight container in the fridge for up to days though you could also freeze them. Thrilled that you love them Anne – they are indeed a fave of mine too! On the browning and crisping aspect this would come down to your oven settings and time spent baking. It’s always tricky because every oven is so different though next time you try it perhaps turn it up a little and be sure to turn the balls at 5 minute intervals to brown/cook all over. As long as you’re not torching them and therefore drying them out, the desired result should come fairly quickly for you. Good luck! Thanks! 🙂 Eating them right now and so is my work mate – yum!